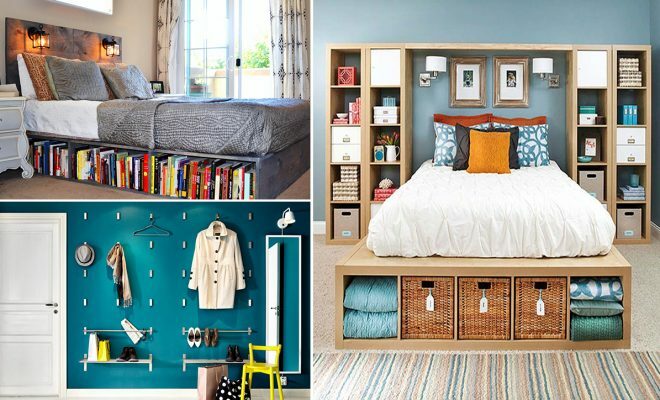 Storage space is one thing that we can never get enough of! And the more you seem to create it, the faster it seems to disappear. 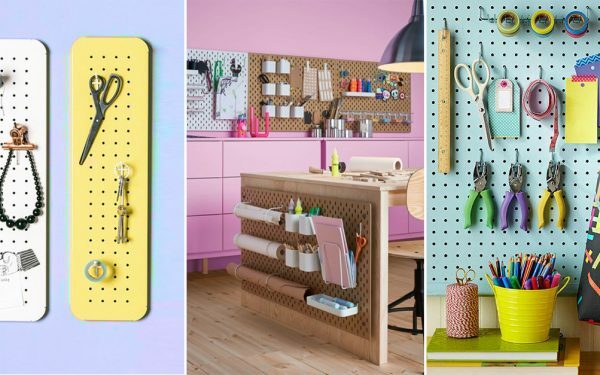 And without enough storage it becomes hard to keep things organized. And the result? Clutter rearing its ugly head everywhere. 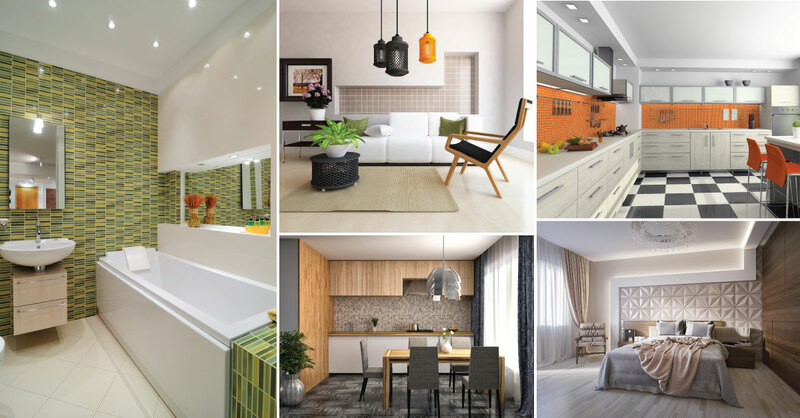 How does one make sure the home remains organize without compromising on precious floor space for storage? 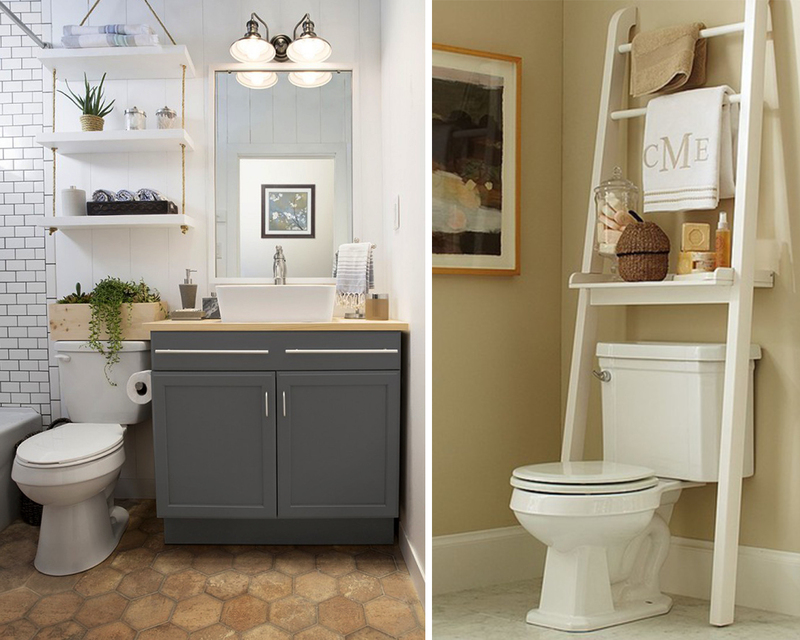 Here are 4 little-known storage hacks that’ll help you carve out extra storage space in one of the tiniest and most used areas of the house – the bathroom! 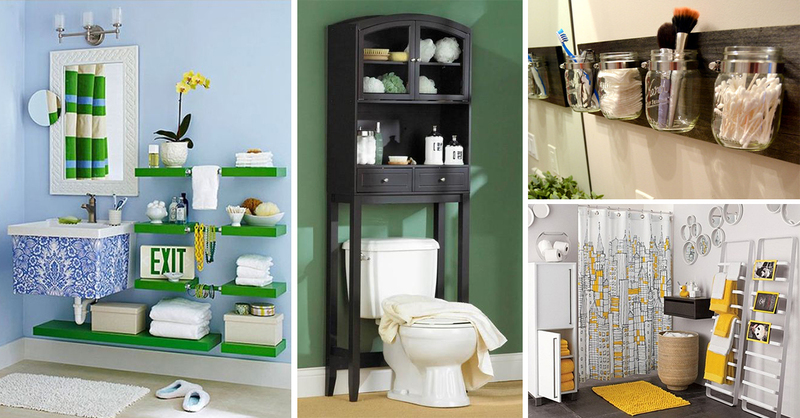 Install slim, floating storage units in the bathroom to store all your bathroom essentials. 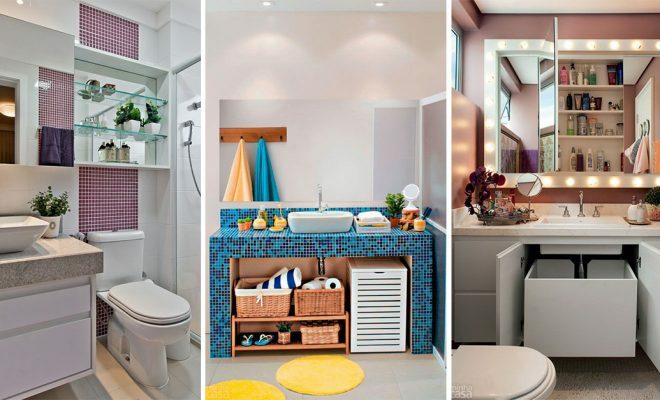 This way you have storage space for all your bathroom essentials that don’t reduce any floor space. 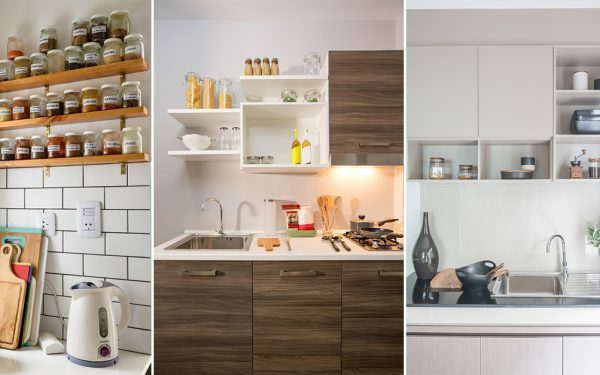 Plus, there’s no clutter on your countertop space for you to deal with! 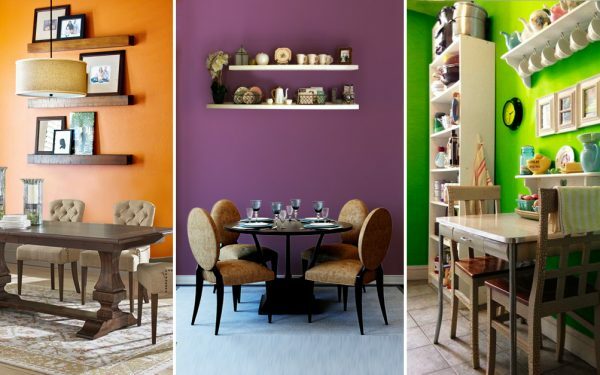 Bring out old ladders and crates that you’ve been keeping aside to be given away as scrap, and paint them in bright colors. 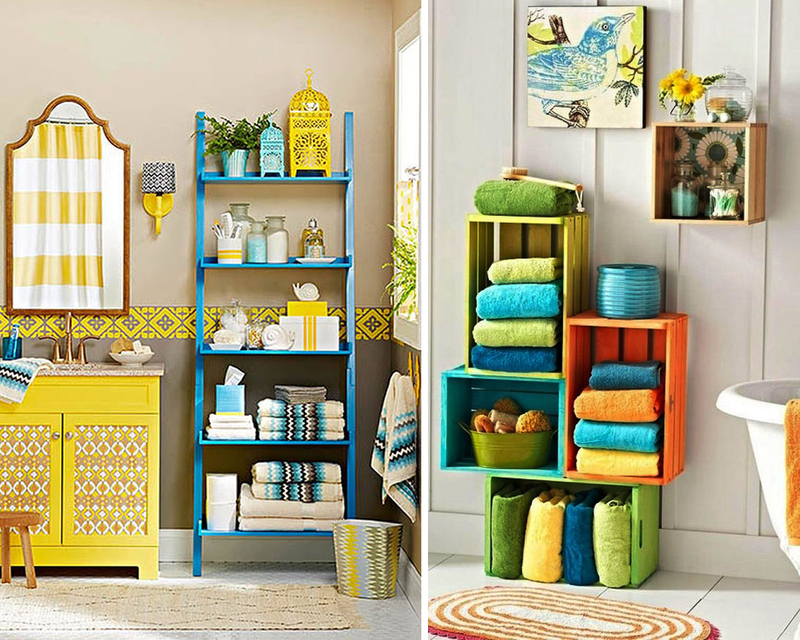 Prop them up in the unused corners of your bathroom and use them as shelves that add a pop of color to your bathroom, while adding tons of pretty storage for all your bathroom essentials. 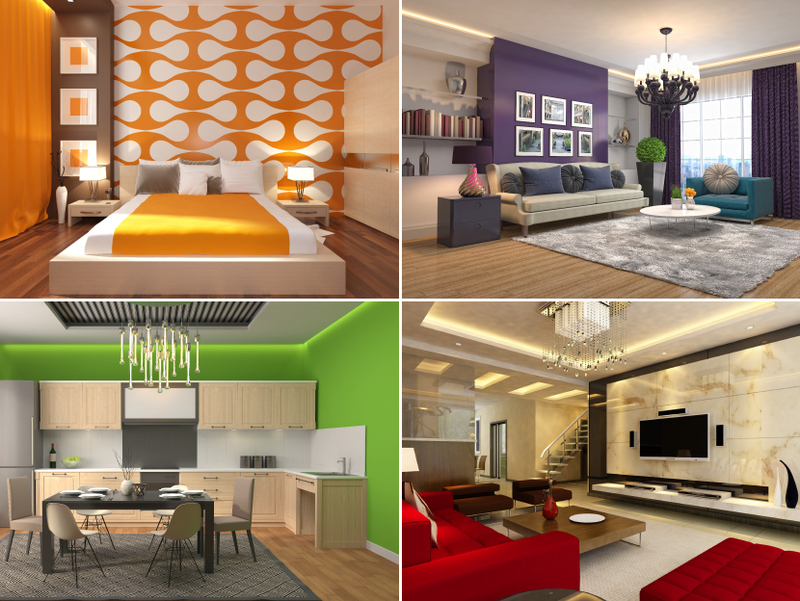 They’ll not just be your little storage havens, but a stunning sight for sore eyes! Another area that gets left bare and unused more often than not, is the space above the toilet. 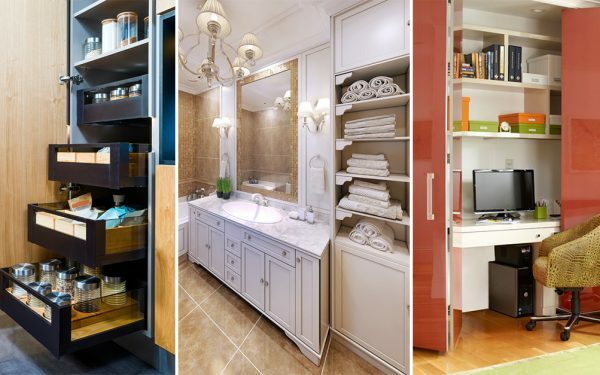 When considering storage options, don’t forget this space and have shelves installed and solve all your storage problems in the bathroom. 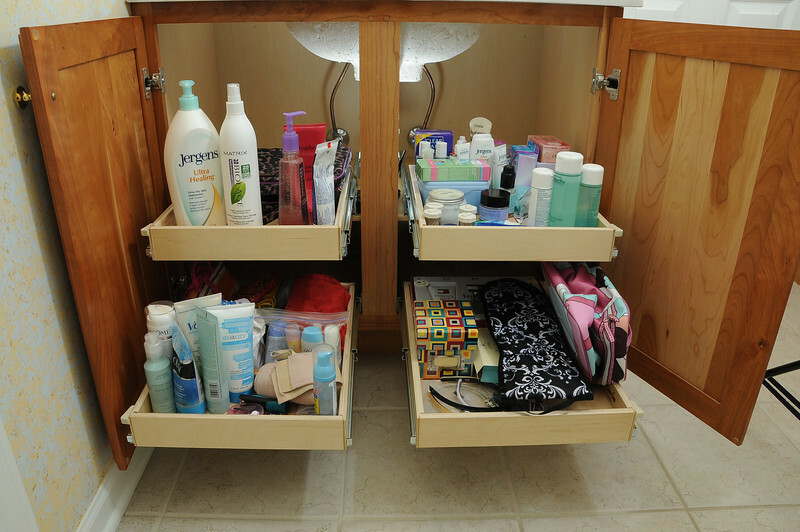 Use the space under the sink to have cabinets made and install pull-out storage shelves inside them. 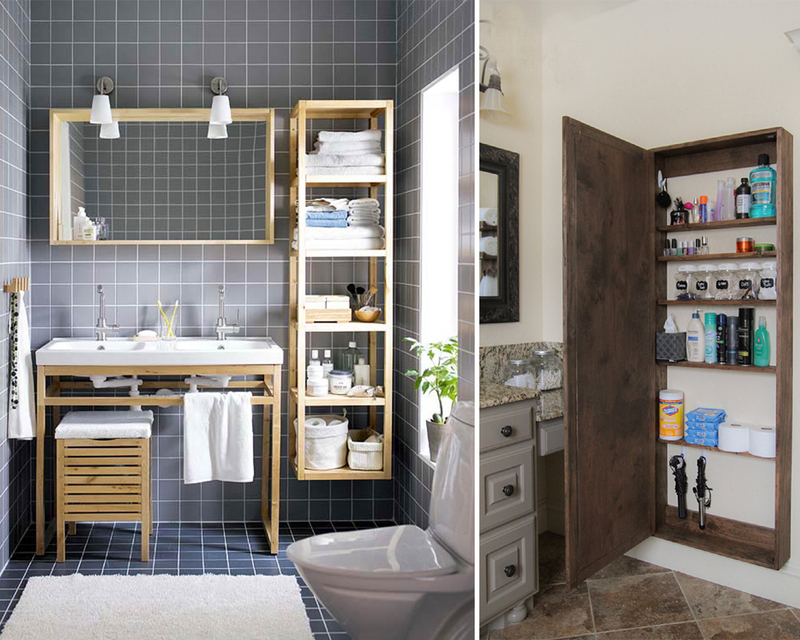 Stow away all your bathroom essentials in these shelves, freeing up precious countertop space and making sure you don’t have anything cluttering the countertops.